The mysterious popularity of Pinterest. Even though i don't like angry birds i didn't have any problems accepting the fact that its one of the most popular games. But when it comes to pinterest its popularity was always a mystery for me. After all, its another version of Google image search, so why did it become popular? And why aren't people using Google image search instead? When i asked the people who use it about the reason, mostly women, they said that it helps them find good images for decorations and other purposes. But this answer is incorrect because it just explains why they are using Pinterest after it became popular. So the correct question is, why did the first million user use Pinterest even though it had no enough content at that time? Because no logical reason could explain the fact that some people use Pinterest instead of Google image search i had to get back to the one science that can explain anything in the world, Psychology. We humans have deep internal desire to gather things and keep them in a safe place. Men were designed to be hunters while women were designed to be gatherers and even though thousands of years has passed since man was created still these internal desires control our actions up to that day. Pinterest allows women to satisfy that deep rooted need by letting them collect things and put them in a safe place. Some men as well like to have collections of various things and this is also the reason why some of them use Pinterest. I have said earlier that any product that satisfies an important unmet need can become successful. Now the point is that new needs can actually be developed as a result of the changes that happen to our world. The appearance of social networks such as Facebook and twitter with their hundreds of daily notifications and distractions has called for another social network that is calmer and quieter. 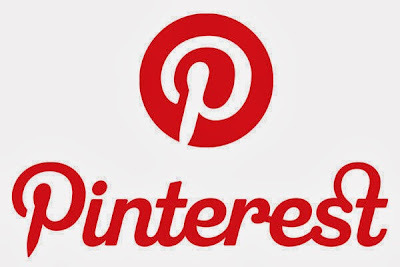 People who suffered the most from the restless notifications of popular social networks found a refuge in Pinterest which is considered the calmest social network available. The two previous reasons were the ones responsible for the popularity of Pinterest however there is one more reason that helped the site grow very fast which is that it requires almost no thinking to browse it. Pinterest is designed in a way that makes its use extremely simple. It's a site that doesn't put high cognitive load on your brain. In simple words this means that you don't have to think while using Pinterest and so your brain feels relaxed. Because our brains consume less energy processing images than text Pinterest spread like fire and became so popular.